Hey New Jersey! No matter how excited you are for the holidays, getting your house ready for all those parties and out of town guests can feel overwhelming. 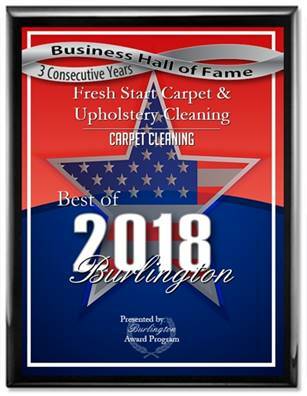 But as tempting as it might seem in all the chaos of cookie baking, gift buying, and event planning, deep cleaning your carpet is not something you want to ignore this season. Why is professional carpet cleaning essential? Carpet makes your house and your feet feel cozy, but it also provides a cozy home for a laundry list of bacteria, allergens, dust particles, grime buildup, and more! Not the holiday guests you invited over? We didn’t think so! In a season where colds and viruses are already prevalent in a chilly climate like New Jersey, it doesn’t help anyone stay well to keep germs lodged in the spaces you inhabit every day! But what a lot of homeowners don’t realize is that simply vacuuming your carpet doesn’t fully remove these unwanted and unhealthy particles and germs. So how can you keep the upcoming days merry and bright for your family and your guests? We have a simple, convenient, and very affordable solution! From November 11 – 18, we’re offering a special discount on our carpet cleaning services in honor of Veteran’s Day. Our prices are already the best around, and now you can enjoy 15% off on keeping your home fresh and your friends and family healthy! If the naughty list of germs and particle buildup wasn’t bad enough, there are a lot more reasons to schedule professional carpet cleaning before the holidays hit. Dirt, pet odors, and who knows what else get trapped in carpets, and no amount of pumpkin spice scented candles can mask a musty carpet vibe. Thankfully, our expert cleaning methods get to the bottom of these odors and stains! As the holidays get closer, your house becomes more and more likely to be covered in luggage, packaging, gifts, wrapping paper, boxes to be mailed, feasting ingredients, and those piles of laundry you haven’t gotten around to. This festive clutter makes it hard to access your floors for the deep cleaning they require. Get on the nice list with your friends and relatives. No matter how much they love you, no one wants to celebrate or sleep in a house filled with pet odors, pet stains, germs, and pesky allergens! Want deep Upholstery and Carpet Cleaning for the Holidays? There’s a discount for that!